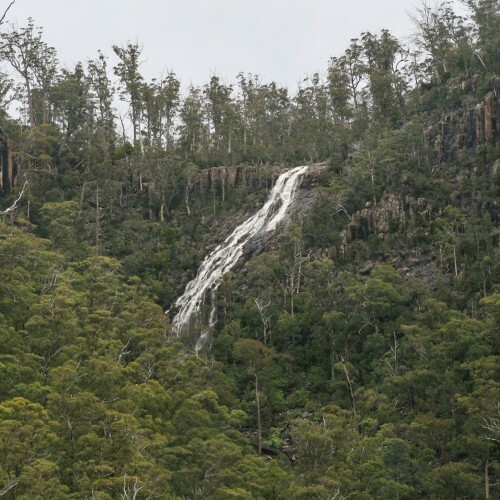 One of the tallest waterfalls in Tasmania and easily the largest in the Snug Tiers/Mt Wellington area, Pelverata Falls plunges 114 metres at the head of a large gorge cut out by Pelverata Creek. 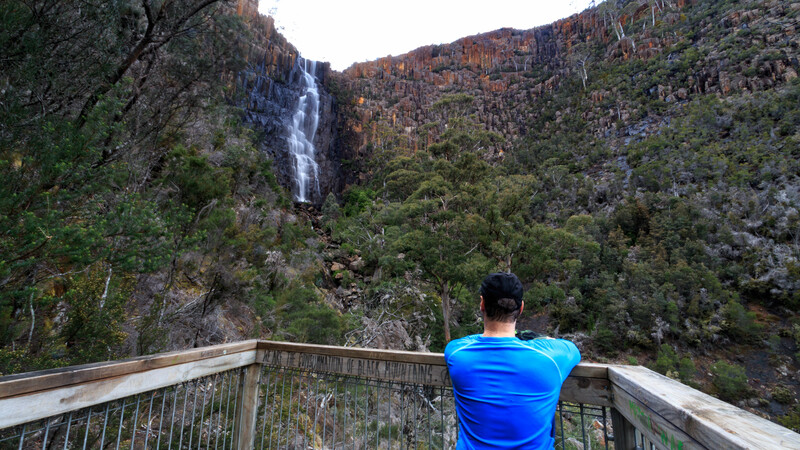 The falls are best seen in winter, and are often completely dry in the summer and early autumn months, but the rugged cliffs and gorge scenery of the area is spectacular year round. There are a couple of ways to access Pelverata Falls. 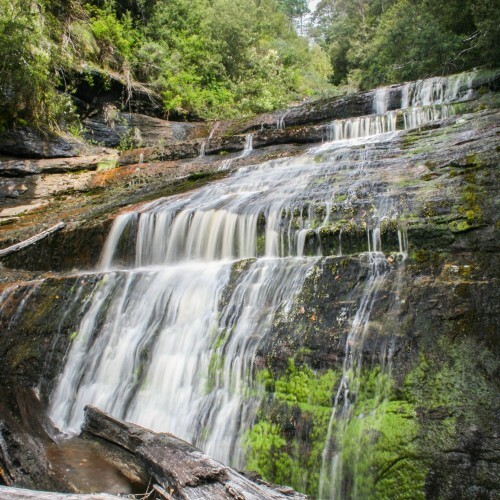 The shortest and most popular route starts at Pelverata, about a half hour drive from Hobart, and involves a moderate hike of 2.5 hours return to a lookout at the base of the waterfall. 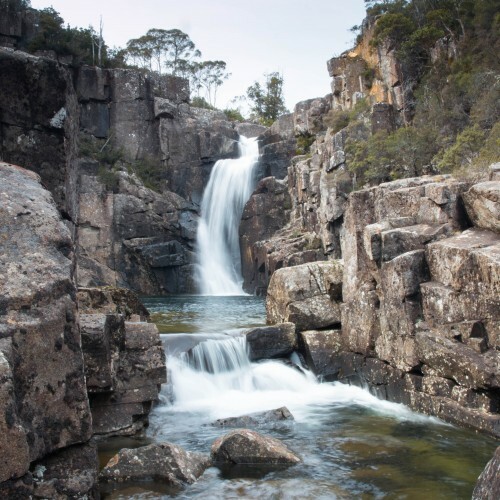 The other way to reach the falls is by driving to the end of Van Morey Road at Margate, and following the network of rough 4WD tracks that lead to the top of the falls. Given that the second route is longer and doesn't provide as good of a view, if you only have time for one the hike to the base is a better option. The walk to the base of the falls starts at the end of Croswells Road at Pelverata, and initially skirts by some private farms, before entering the forest along a wide track. After about 20-25 minutes a well-signed junction is reached, and from here the track narrows and undulates through a few small gullies, which are often wet and muddy. 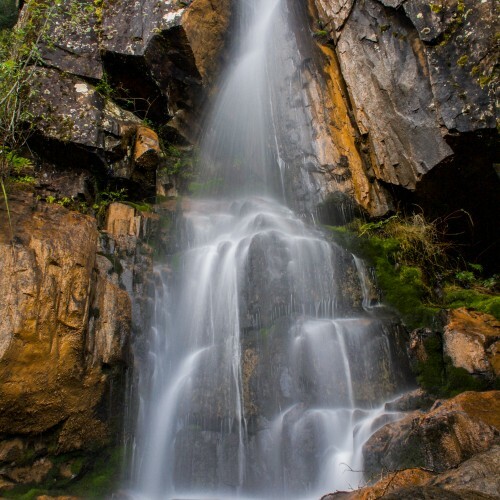 After nearly an hour of walking, the trail becomes a bit harder and rockier as it skirts the edge of a deep gorge where the cascading Slippery Falls can be seen in the distance. There is drop-off exposure in places here, as well as some steep scrambling in the rockiest parts of the trail, however it isn't too long before the trail rounds a corner and comes out at the lookout across from Pelverata Falls.